These two have been inseparable since Tramp came into our lives several years ago. 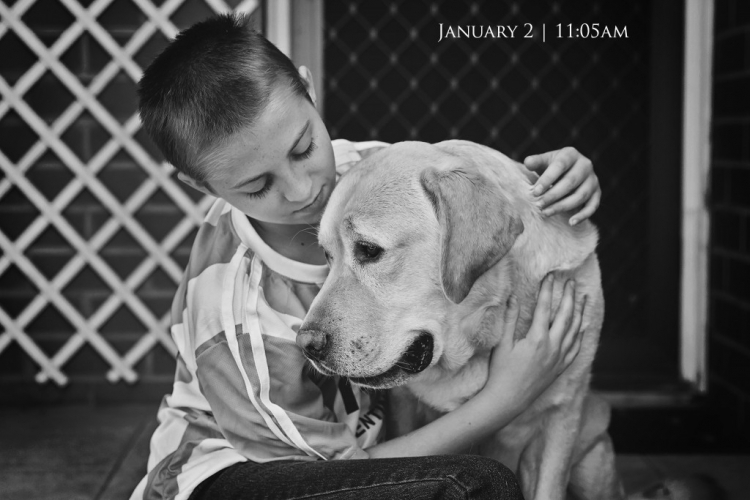 He is my sons Autism companion dog from Labs ‘n Life‘ and he helps my son in so many ways. He is now an integral part to our lives and has enriched all of our lives. For the past several years (with a couple of years break), I have undertaken a challenge to take a photo a day for all of January (Bit like Nanowrimo but with photos). I don’t use a set theme for this project but I do like to capture the happenings in our family life, I was only going to upload to my Facebook Page but decided that my blog readers may like to have an insight into our family life and just get to know me a little better. So here is Day One for you, I hope you enjoy the next month as I take you on a journey visually of our family. This bundle of energy makes me smile and keeps me on my toes. She certainly makes my life interesting and I wouldn’t change her in any way. I can’t believe that this year will make her a big school girl and I look forward to seeing her move from strength to strength. It seems to be that time again where we make New Years resolutions (New Year/New me), I can’t say I like this word resolution. How many times do you make one of these and fail at them? I like to instead make small achievable goals instead. That way I know what I am getting into, the goal is not so high that is not achievable and I feel like I can my goals are easy to attain but still give me a small challenge at the same time. I hope that what every your goals may be for the next 12 months ( or 3, 6 or 9 months) whether it be to finish a long awaited book (like me) or to find that new job or just even to become healthy (if that’s what you want to be) is something that you feel will be achieved. That goal could even be to be happy with what life brings you (I hope it does just that!). Remember old memories but also don’t forget to make some new ones too. 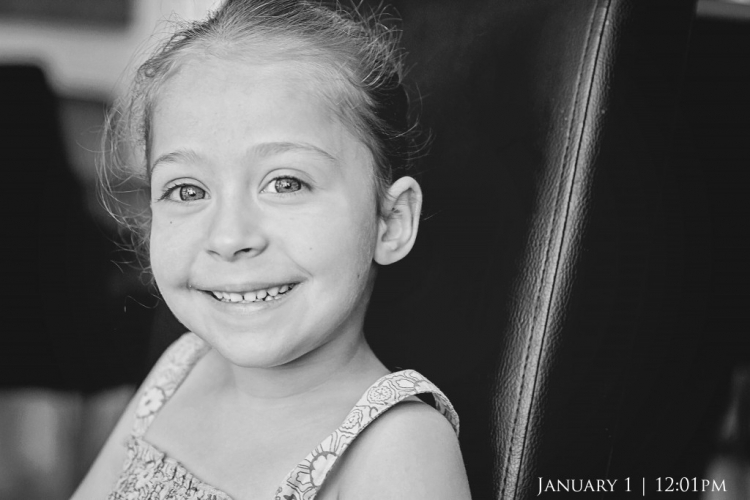 As I reflect back on the year that was 2015, it has been hard to describe what 2015 has been for us and my family, there has definitely been some highs and some lows. I have definitely learnt more about myself this year and have begun to be more forgiving of my struggles. This year we also said goodbye to Jasper, my second ever fur baby whom you may remember from THIS POST and will forever be in my memories but we also said hello to Belle (our new 8 month old ragdoll kitten) who have slotted so well into our family and is so well loved. I understand that many are happy to leave 2015 way behind them and the painful memories that it brought but don’t forget the happy ones and keep them close as well. So with my heart full from the past year, I wish you a very happy New Year, I hope it is a safe and prosperous one! Has this year gone fast or what! I know I haven’t posted much on this blog, life has gotten ahead of me rather quickly which of course hasn’t left me much time for writing although it has ALWAYS been in my thoughts and I’m always coming up with ideas for my stories. This year I am again partaking in NaNoWriMo (National Novel Writing Month) where you face the challenge of writing a word count of 50,000 words within the month of November. This will be my second year taking part. Whilst I didn’t quite reach 50k last year, I was happy with what I did achieve and hope to work my way towards my goal this year (even if again I don’t reach 50k). Even one word over is an accomplishment in my eyes and I will be happy with whatever word count I can gain and it will make me ever closer to me finishing my novel. Tomorrow I’m actually starting a day early (although the word count wont count towards NaNoWriMo ) as I am attending the TWELVE lock in writers session with the SA Writers Centre so that means twelve long hours of constant writing, no kids, no hubby and no disruptions! I don’t get to do this often (maybe just once a year) but it helps to get those creative juices flowing and really get my writing on a roll. I really would like to finish this book that has been in my head for so very long. I wish all those writers that are taking up the challenge of writing 50,000 words all the very best and a huge good luck wishes for NaNoWriMo! Don’t pressure yourself too hard, just do what you can and feel accomplishment in reaching whatever you can do! And because they keep me writing and are my inspiration, here is a quick photo that I took of my kids the other day, their laughter, fun and imagination keeps me going so I thought I would share this image of them as I instantly fell in love with it, I mean seriously? Who could resist those happy laughing faces, they just make me want to smile in return and they will make me determined to write as much as I can tomorrow before tomorrow evening when I head back into their foray of giggles. Anyway that’s it from me as I best get some sleep whilst I can, I hope you have a wonderful weekend and happy writing and story telling! jessica - I’m very disapointed that I didn’t know about this twelve hour lock up. Twelve hours writing with out the hubby or son interrupting sound like pure heaven! This is my first year with Nano, as I only discovered it a couple of days ago! I’m very excited though as it’s given me the chance to write a story that I’ve been planning for over a year. Tonight I came across a video on Facebook that I would very much like you to watch (you can watch it below). If you didn’t know I was brought up in foster care, the road getting to that point was an extremely hard one. So much so that I really don’t remember much before the age of 8, all I recall is brief flashes of memories and not very much beyond that. My mother had manic depression (or as it is known now Bi Polar). My mother had a mental illness, I don’t blame her for the way she was, I blame the illness moreso, not all that have this illness though are beyond control of it. Unfortunately for my mother she was unable to stay on her medication which in turn meant she was mentally unstable and in turn meant that my safety was in jeopardy. I won’t go into the horrific details of what led to me going into foster care, not because it’s painful for me (I only remember bits and pieces and what has been told to me) but maybe it would be too horrific for others to read. I don’t remember the full number of foster care homes that I made it to but three of them do stick in my mind although for two the memories are very scant although I do remember one of the foster parent names from those two. My third foster home I went to just before I turned 8 and is the one I remember the most because Peggy (whom I came to call Gran) became my permanent foster home until I moved into independence at age 17 (with Grans help). For a time there things were very mixed up, Gran tells me I didn’t know day from night and that I would scream for hours on end, these days, months, years I barely remember. With Grans’ patience and perseverance and as well as therapy I slowly came forth from dark hole and out into the light. Gran made me feel like life was normal again and she treated me as a child of her own or as one of her grandchildren (which she had many of). At the age of 12 there was a court hearing and I decided on my own terms that I would no longer see my mother, the scars of my upbringing went too deep for us to meld our relationship as mother and daughter. I no longer saw her as my mother but has a stranger who I had no connection to, I still feel this way today. Throughout my time in foster care I did see my other biological family (I have lots of family that live interstate and who I still keep in contact with now) but the last time I spoke to my mother was via the phone on my wedding day, she has now passed away. Things have changed for the better now and my life holds so much meaning, I have my adoring husband and three beautiful children in it. I also keep up regular contact with Gran and we talk on the phone (or via text) often. Just last year I found my father (who hadn’t seen me since I was a baby) and we now see each other regularly and getting to know each other slowly although that’s a story for another time.